By Samara Cogan My dad Stuart Cogan died unexpectedly in August 2014. He was raised Jewish, but he didn’t seem to feel any particular connection to Judaism. I have a distinct memory of him attending a conservative Bar Mitzvah with my family, and in the middle of the service, he was asked by a member of the congregation to put on a yarmulke. My dad’s response to this was to throw the yarmulke on the ground and storm out of the synagogue, never to return. With this memory in mind, I initially struggled to find a way to honor my dad in his memorial service. I wanted to acknowledge his Jewish heritage, but I felt that religious traditions wouldn’t be fitting for our family or honoring his memory. 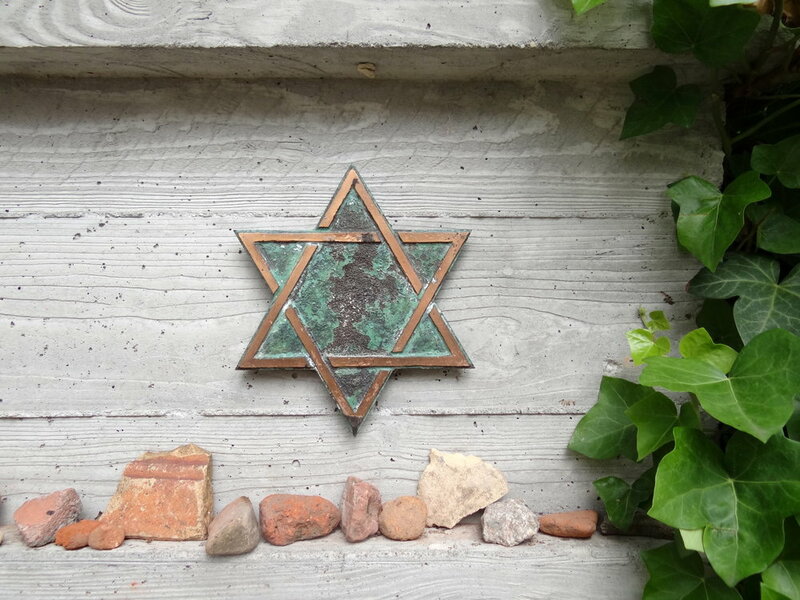 I also didn’t have any examples of secular Jewish memorial services; I had never attended one. Luckily, I discovered that I had the tools I needed to create a service: the support of my Folkshul community, and Sherwin Wine’s book Celebration: A Ceremonial and Philosophic Guide for Humanists and Humanistic Jews. The end result was a service that was specifically suited to my dad’s memory and my family’s need to have a ceremony that celebrated his life. The program included excerpts from Sherwin Wine’s book, quotes from Harry Potter (a favorite series of his), a stone dedication (using stones that my dad collected himself), Billy Joel lyrics, the secular kaddish, and one blessing in Hebrew for my more conservatively Jewish family members. We did not include any songs or any other prayers because that was not a part of our tradition. As difficult as it was for me to attend my dad’s memorial service, it helped me to have a meaningful way to grieve. Because my family was the architect of the ceremony, we weren’t just going through the motions. We created a program that was accessible to everyone in attendance, yet still maintained a distinctly Jewish quality. I think my dad would have been proud of us. 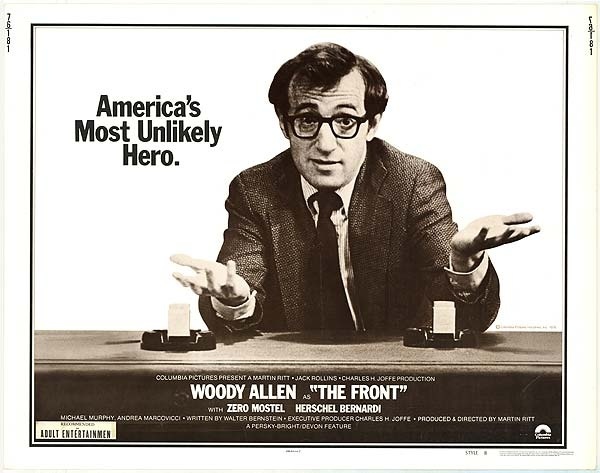 The answer: The film “The Front,” which deals with the McCarthy-era “witch hunts” in the entertainment industry in the 1950’s and starred Woody Allen and Zero Mostel. I saw the film when I attended the White Mountain Jewish Film Festival this past August. Larry was invited to comment on the Hollywood blacklist with his knowledge of the Jewish involvement in the political Left. Attended by over 75 people (which is HUGE is this small northern city of New Hampshire), the evening was well worth the one-hour drive to see both Larry and the movie. I highly recommend this 1976 film. The Jewish Children's Folkshul and Adult Community is a parent-run cooperative committed to providing a secular, humanist Jewish educational experience in the greater Philadelphia metropolitan area. To learn more, visit folkshul.org. The mitzvah of hachnasat orchim, literally the "bringing in of strangers," extending ourselves and welcoming others, is a central value of Judaism and one that we practice with warm hearts at Folkshul: on the holiday of Sukkot, we welcome new families into our community; at our Soup Kitchen event, we collectively make and share a meal, encouraging others to join us as we raise money for those in need. And in studying the theme of Immigration, we recognize that we were once strangers ourselves in this country and unwelcome in many places around the world. In the words of the poet Emma Lazarus, we were the “tired,” the “poor,” the “huddled masses yearning to breathe free.” The Statue of Liberty indeed lifted her lamp for us and, despite many hardships and obstacles along the way, we have made great strides in this country. However, we also recognize that this was not always the case, such as in 1939 when 937 Jewish refugees on the S.S. St Louis were NOT permitted in to enter the US and were turned back to Europe, many to meet their deaths in concentration camps. This tragic decision was made in a political climate of deep fear, suspicion and anti-Semitism. Today we are hearing similar opposition to welcoming refugees who are escaping war and horrific persecution in their homelands. They are victims, seeking such mundane treasures as safety, a better life, and opportunity – just as our families and others did in years past. Folkshul stands with numerous organizations and individuals, religious and secular alike, to urge our elected officials to welcome those refugees who meet the complex and stringent requirements of the UNHCR and our national refugee resettlement program. We fervently hope that all who come here to find safety discover a country with compassion, reason, peace and a welcoming heart.